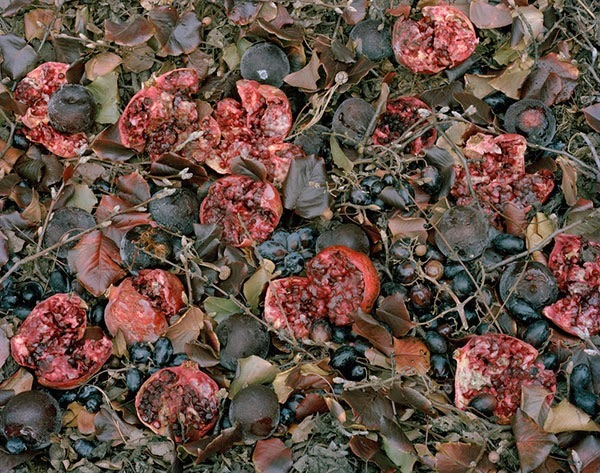 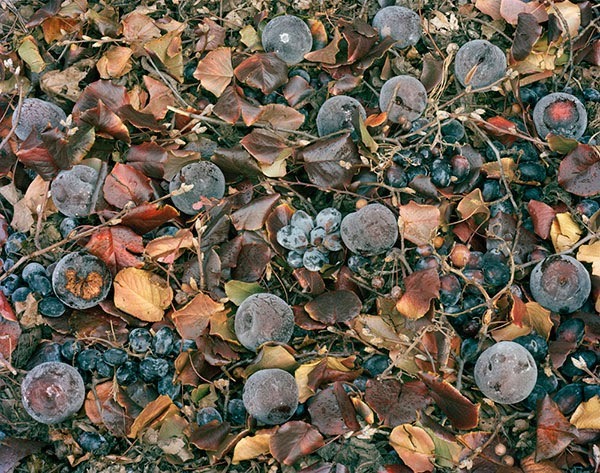 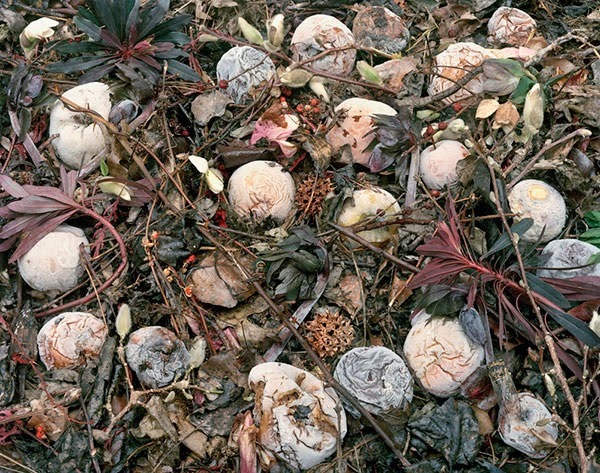 Beautiful photos of decaying fruit on the ground composed with other plant material. 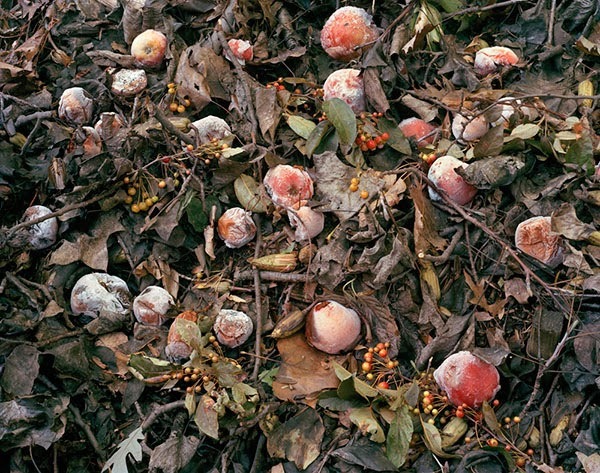 I picture the garden: unruly, wild: lush with rot and overabundance. 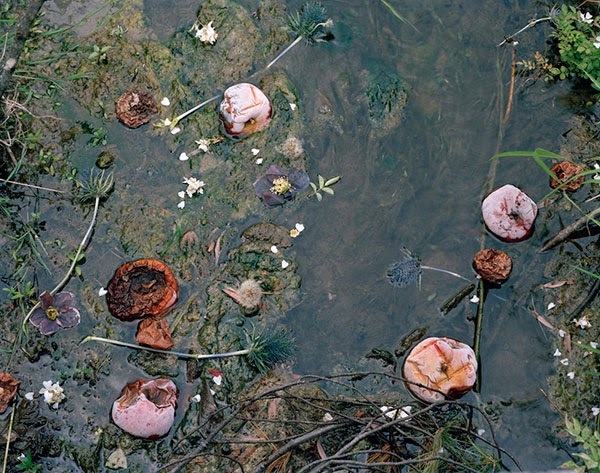 The uneaten fruit of the tree lies decaying on the ground and floats down streams. 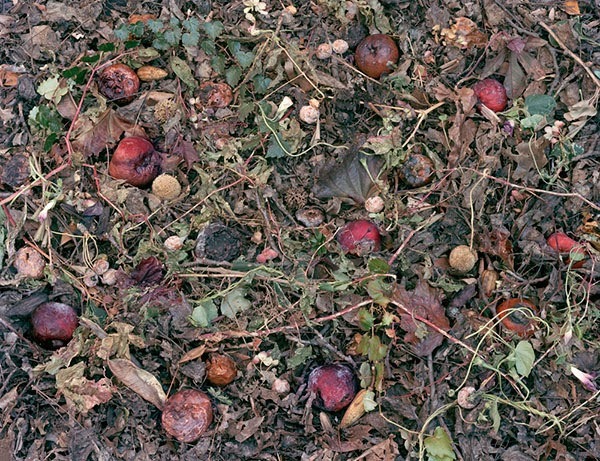 I try to create tension between decay and new life, randomness and order, flatness and depth, the natural and the fantastical. 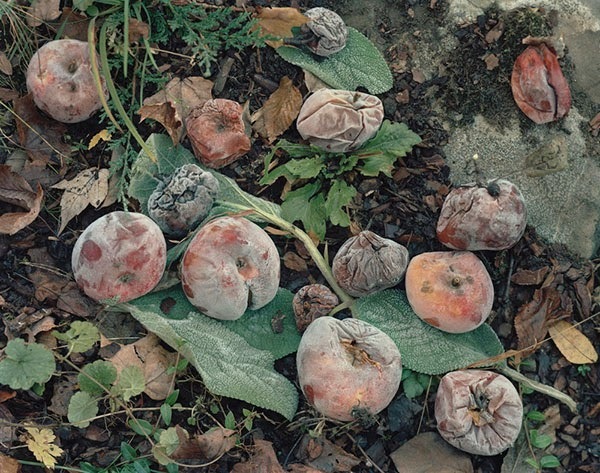 I collect the fruit from beneath trees in nearby orchards, freezing them to preserve the spectacle of their decay. 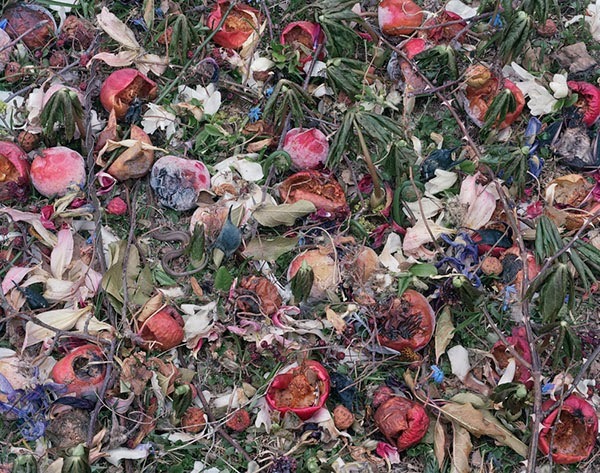 I frequently work on a single photograph for days, or weeks, building up collected plant material, weaving together dead leaves and spring blossoms, adding insects and small creatures to create a tapestry-like density, presenting symbolic patterns of growth and decay in a natural (or perhaps unnatural) landscape.